In 1296, friar Berenguer de Cardona, master of the Order of the Temple of Catalonia and Aragon, granted to the village of Orta 'Els Costums’ (the Customs), a set of rules that recognised the uniqueness of this town and its inhabitants. Tradition, territory and know-how. Identity, authenticity and rediscovery. 100% High Grenache, unique in Orta. PREPARATION: At Les Vinyes del Convent we have carried out a series of wine-related archaeological tasks to rediscover and replant varieties and sub-varieties that were traditionally grown at Horta de Sant Joan, which had long since been forgotten due to the passage of time and productivity. High Grenache is a clear example. At La Senyoria estate we currently cultivate two small plots which produce a grenache with straight ownroots and grapes which grow close together and are darker than fine grenache. After a careful selection of the grape at the entrance to the winery, it is transported whole to the stainless steel tanks, where it ferments. With the carefully selected whole fruit, the grape will maintain all the essence of the variety and of the land, transferring all the character of the territory. 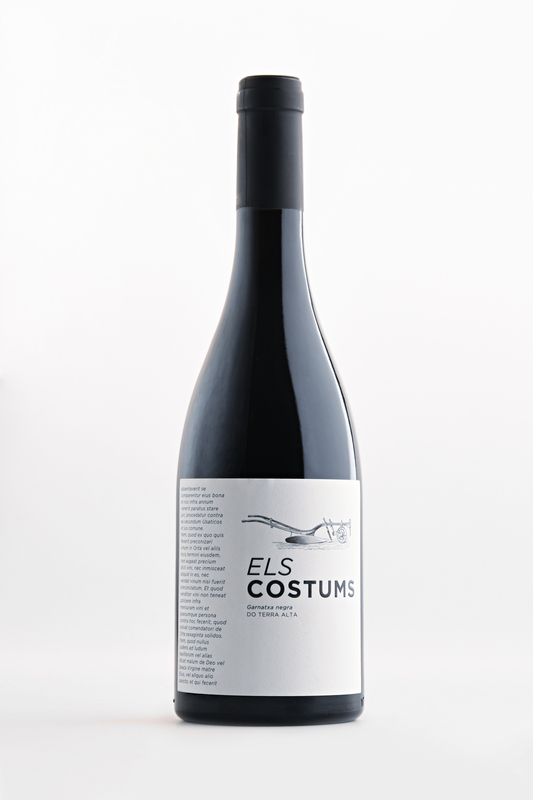 Els Costums red is a plum coloured wine. Aromatically intense and complex, with notes reminiscent of ripe fruit and spices. High grenache provides this wine with a unique character. On the palate it is well rounded, mellow and easy, with a long and flavoursome aftertaste. The marked territorial character makes this wine an ideal choice for typical dishes of the area, such as battered kid or wild boar civet.